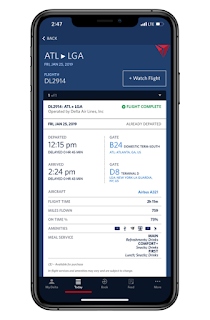 Delta SkyMiles members can now use the Fly Delta app to purchase a seat upgrade using miles instead of cash. The new app functionality comes on the heels of overwhelmingly positive customer feedback to Delta launching the post-purchase upgrade payment option on Delta.com in December. With more customers than ever earning miles in everyday activities other than flying, like using their Delta SkyMiles American Express Credit Card, grabbing a Lyft or staying at an Airbnb, even Members with lower balances will find their miles more valuable as the global airline expands the ability to use them. -- .